How much are your jobs costing you? Do you ever end up not making money on jobs with no idea why? 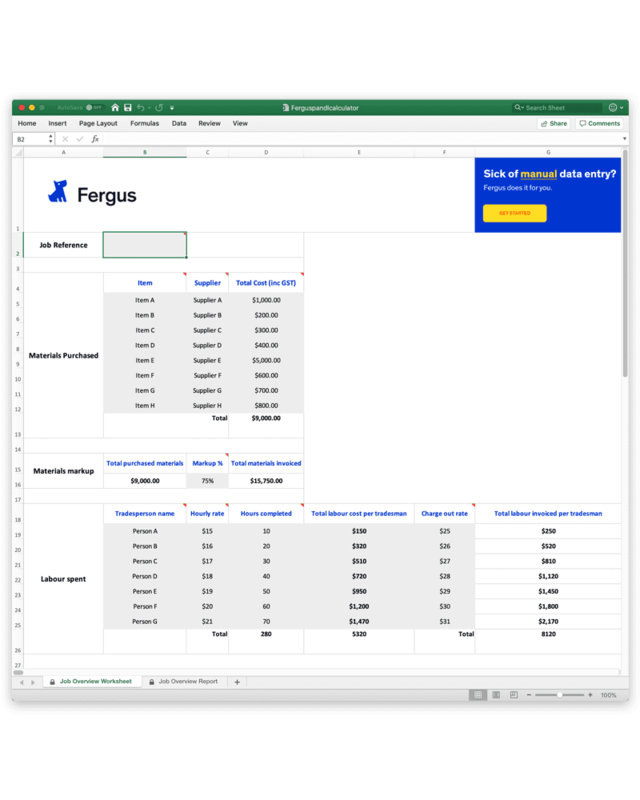 Find out how much money you've spent on materials and what the markup should be in the job overview worksheet. The job overview report gives you a breakdown of where you're making and loosing money. Fill out the form below to receive the calculator. Our P&L Calculator is on it's way to your inbox. Get started with a Free Trial if you'd like to try the real thing.